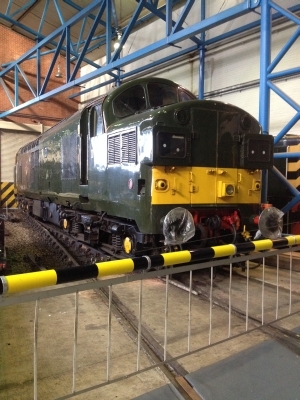 As you will be aware, our loco 37025 is now mainline registered. Whilst we did not anticipate work for it any time soon (given that this is typically a quiet period for charter work) we were approached by Colas to hire it immediately on a short term rolling basis for light duty non-passenger work. 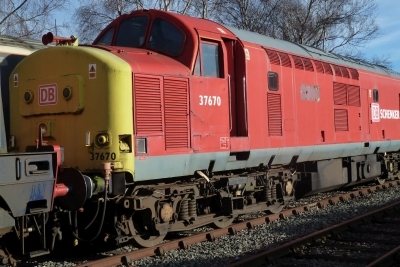 Andy Blakeley (your Operations Director) and I met with Colas representatives and were impressed by both their professionalism and assurances that 37025 would be treated in accordance with its' heritage status. We have also had assurances that the locomotive would be made available for passenger charter work during the hire period, as agreed in advance. Having given this considerable thought, the directors unanimously agreed to this short term hire as such a hire will be beneficial to all parties concerned, including the locomotive which shall now see some mainline running at a time when it may have been sitting idle.